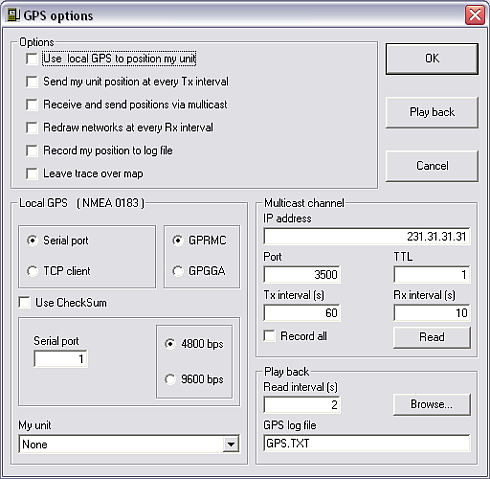 A local GPS can be connected directly to a serial-port. This is the unit from which the position information will be updated using GPS. in 'Local GPS (NMEA 1083)' you set-up the GPS source. You can use a serial port or TCP client. Choose the NMEA datagram you wish to use.